Here is an especially thoughtful post by Josh Linkner at his website. Most of my career has been devoted to formal education (at the school and college levels) or to executive education programs conducted by corporate clients. I agree with Josh that all great leaders are lifelong learners. I also agree with him that all great leaders are lifelong unlearners. Identifying knowledge needs is imperative and one of the most important knowledge needs is to learn what we think we know but don’t. The challenge is exacerbated by the fact that knowledge seems to become insufficient and then incorrect faster today than at any prior time that I can recall. The blaring shrill from the station bell startles the team into action. Within minutes, the crew is speeding down the road, racing to challenge a raging blaze to a fistfight. Adrenaline pumps through the veins of both veteran and newly minted firefighters as they summon the courage to strut face-first into danger. The stakes couldn’t be higher. This is no drill, no warm up, no dry run. Within minutes, the team will be staring into the abyss of uncertainty. Lives hang in the balance as split second decisions will forge legacies or tragedies. While you and I may not face such extreme conditions in the business world, the stakes often feel just as high. Our companies and careers can shift in an instant as we tackle increasingly complex and difficult challenges. 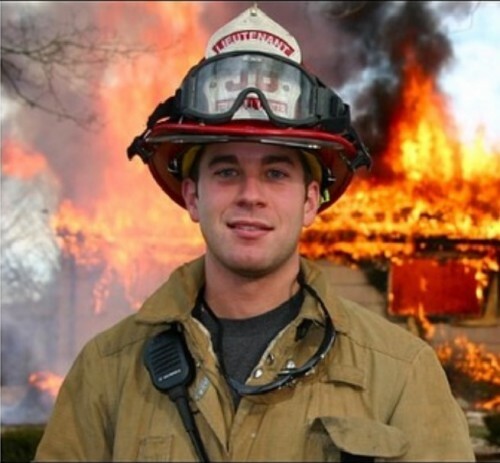 Important sales calls, labor negotiations, and supplier agreements require the same skill, tenacity, and focus as the brave men and woman who battle intense flames. I recently had the chance to meet Chris Poisella, a dynamic leader who has worn both the protective helmet of a fire department lieutenant and also the Windsor knot of a high-ranking corporate executive. I learned that the seven-step approach he took to take down ferocious blazes is also a powerful strategy to meet the raging fires of the business world. Step 1: Training. While certain unexpected experiences may be completely unpredictable, there’s an opportunity to train in advance for the majority of situations. Firefighters not only embark on initial training, but also extensive ongoing training and skills development that are critical for preparedness. Pro athletes spend 90% of their time training to deliver peak performance on the field, yet in the business world, we rarely take the time for professional development. To ensure the best outcomes, firefighters prioritize training so that they can deliver top performance when it matters most. Step 2: Pre-Planning. Great fire chiefs make sure they know their town and surroundings. They know the big buildings inside and out. They know the roads, water supply, and the names of their colleagues who provide other emergency services. While you can’t plan for everything, knowing the landscape in advance can deliver a huge advantage when you’re in the midst of an actual battle. Step 3: Assessment. Chris tells me that 911 calls are often inaccurate. In moments of trauma, people tend to either over-inflate the circumstances or under-report the seriousness of the challenge at hand. Accordingly, the best firefighters try to hear the story from as many callers as possible so they can get a feel for what’s really going on. In the business world, reacting to only one stream of information can easily derail us. Like the firefighters, try to triangulate the data to form an accurate picture of the obstacles you’re facing before deciding on the best course of action. In the same way firefighters rely on this systematic approach to save lives, the best leaders also leverage a proven process rather than simply shoot from the hip. Committed heroes like Chris Poisella not only keep our communities safe; they also provide a roadmap to success for our professional lives. Follow their approach and you’ll be able to extinguish your challenges long before they spread into a four-alarm blaze. The station bell is ringing for you right now. It’s your turn to respond.